Who else has been scrambling to find homes for all the new toys post-Christmas? Admittedly, finding forever places for all the new things is one of my least favorite parts of Christmas cleanup; but this year, I came up with a fun and oh-so-clever way to corral aaaaaallll the little tiny things Santa left for our boys. 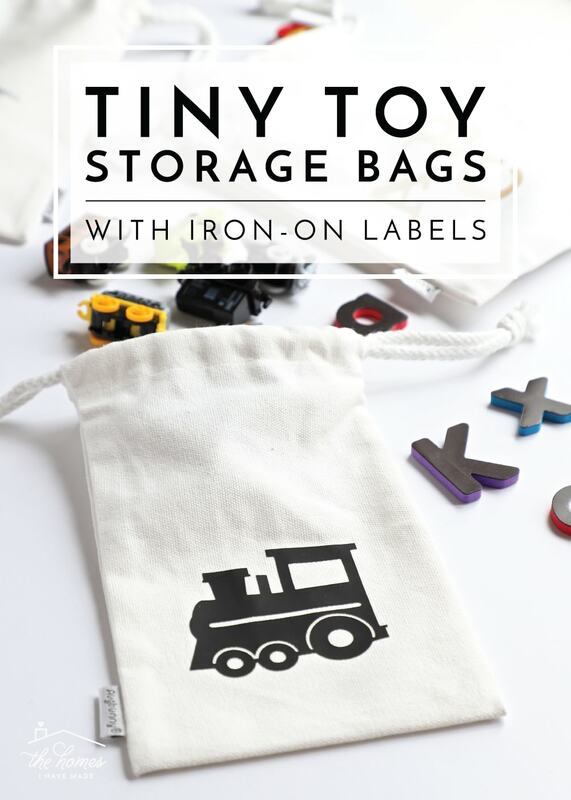 These tiny toy storage bags are ideal for holding anything miniature: cars, trains, magnets, Shopkins, mini-figures, toy makeup and so much more. 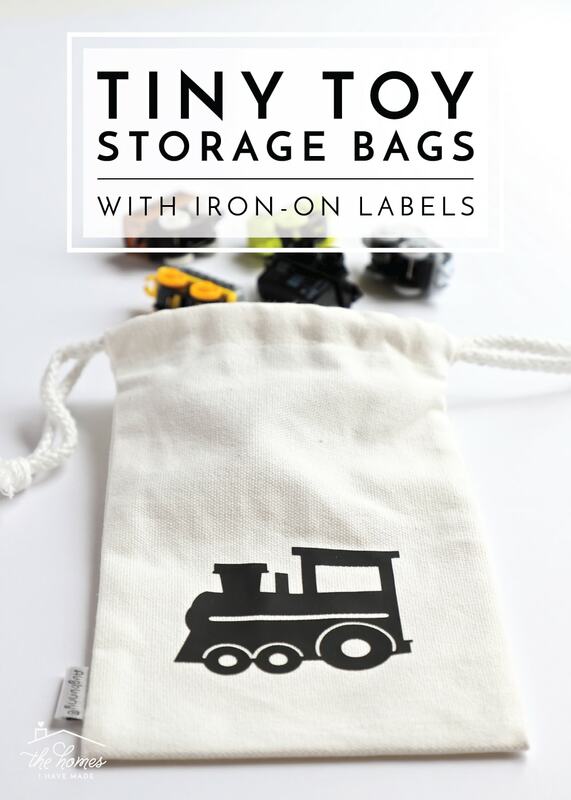 And thanks to some really easy iron-on labels, knowing what’s contained in each bag is plain and clear for kids and adults alike! 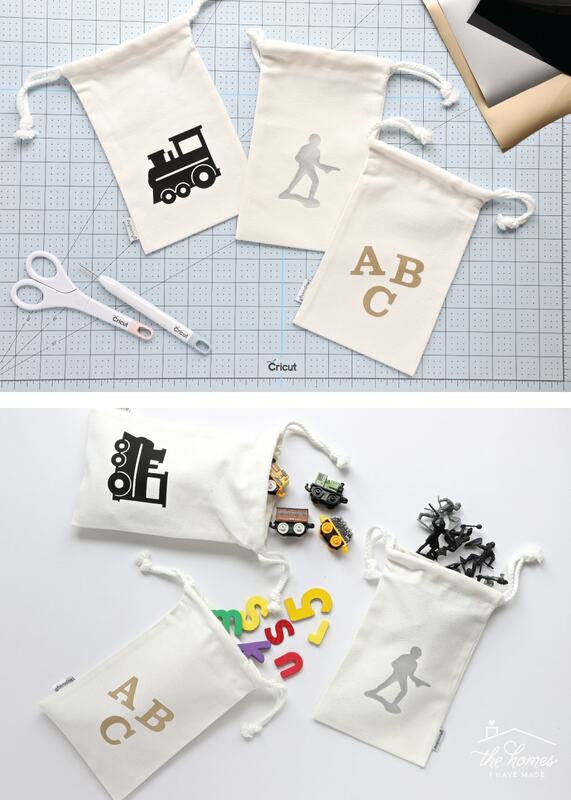 These bags come together in a snap, are a lot of fun to make, and work wonderfully for keeping little things off the floor! Let me show you how to whip them up! You guys know I tend to rely on baskets for most of our organization, especially in the playroom. However, while bins are great for big trucks and bulky blocks, little items tend to get swallowed up and lost in the depths of large containers. 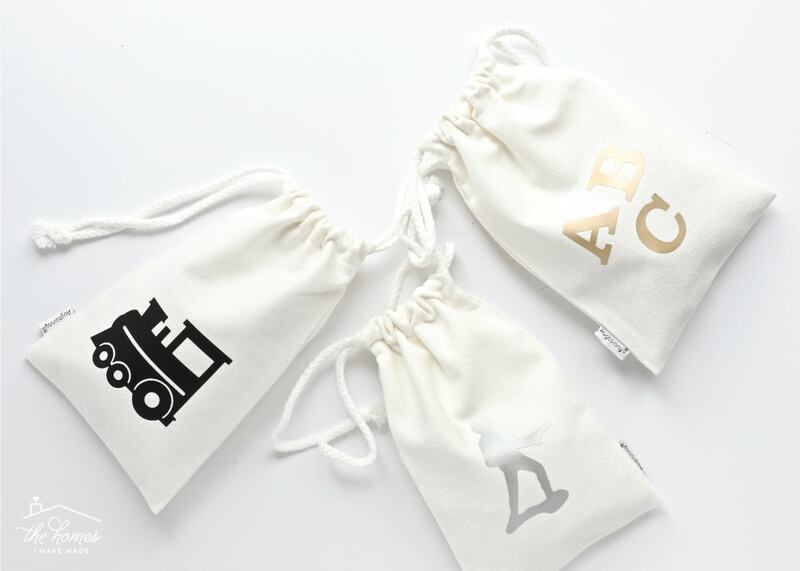 These little canvas bags measure 5×8″ and are absolutely perfect for catching all those little things that can easily end up all over the house. 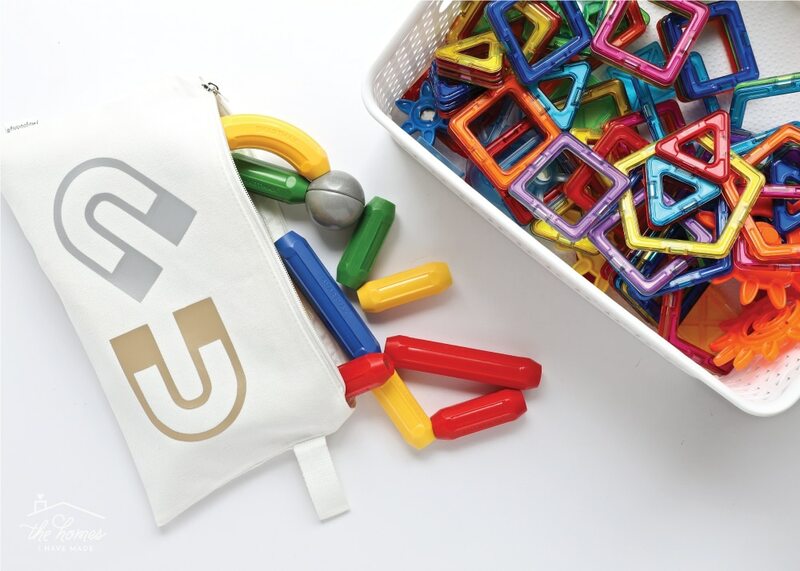 And since their drawstrings are nice and tight and they are clearly labeled, the bags themselves can get tossed into bigger bins and then pulled out when they’re needed for play! 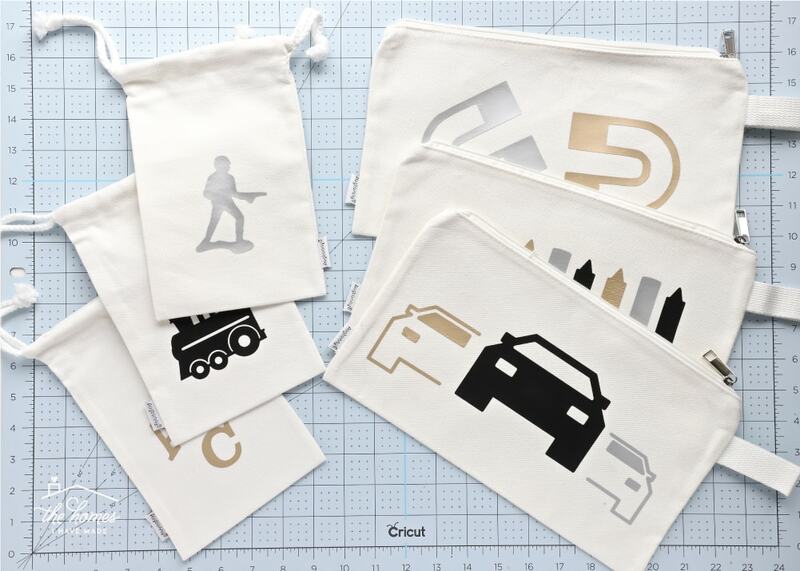 I started with some super affordable yet high-quality canvas bags and pouches and then embellished them with some labels made from Cricut Iron-On. You’ll love how easy and fast these are, so let’s go through it together! 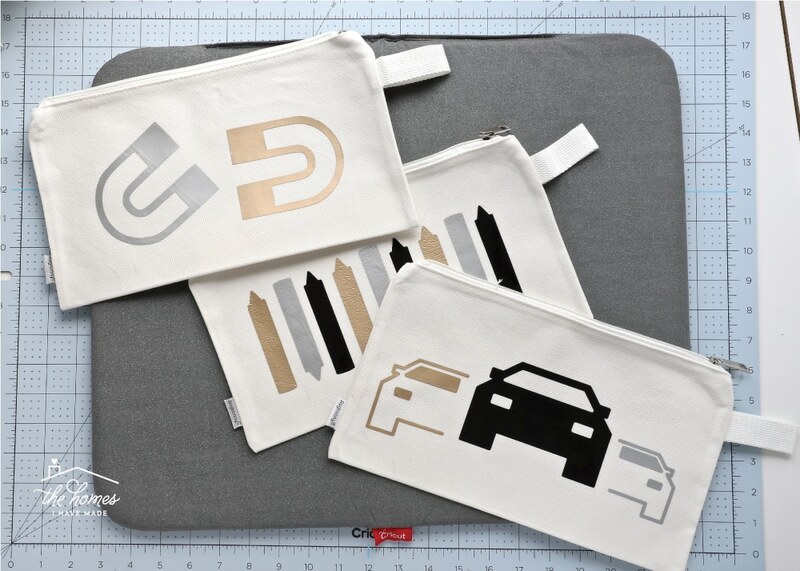 Canvas pouches and bags – I bought the 5×8″ bags and the 7×12″ zipper pouches and can’t rave more about the quality and sturdiness of these bags. 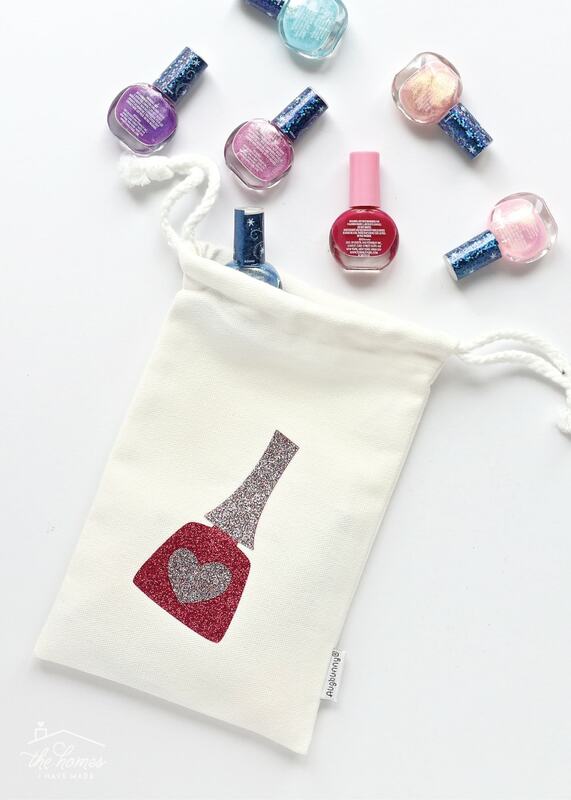 They are ideal for craft projects like this one, and I already have lots more ideas brewing for them! 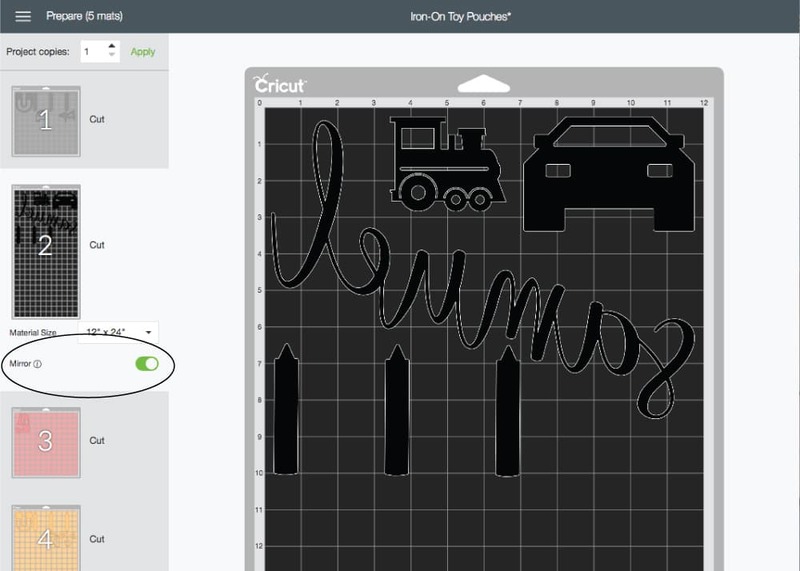 Open Cricut Design Space and place a square onto your canvas. 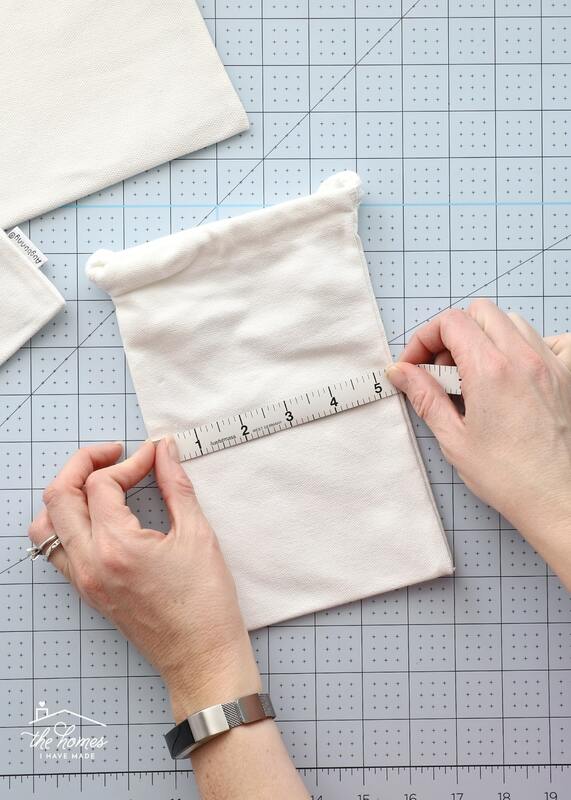 Re-size the square to match the dimensions of your bags/pouches to serve as a template for your labels. My bags measured 5×8″ and 7×12,” so I created those sized rectangles onto my canvas. Next, search for images in the Design Space Image Library to match the toys or items you want to store in the bags. 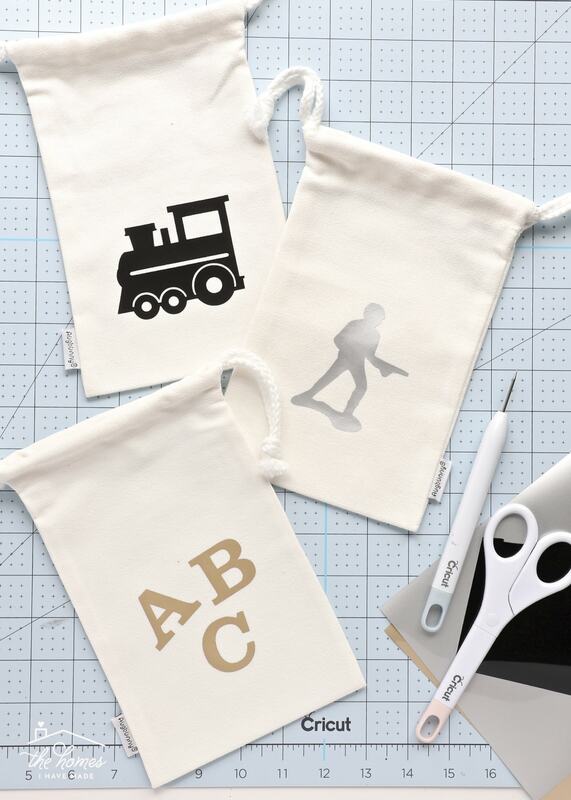 Upload your own images if you can’t find something that matches, and don’t hesitate to get creative with letters, fonts and other designs to make your bags just right. 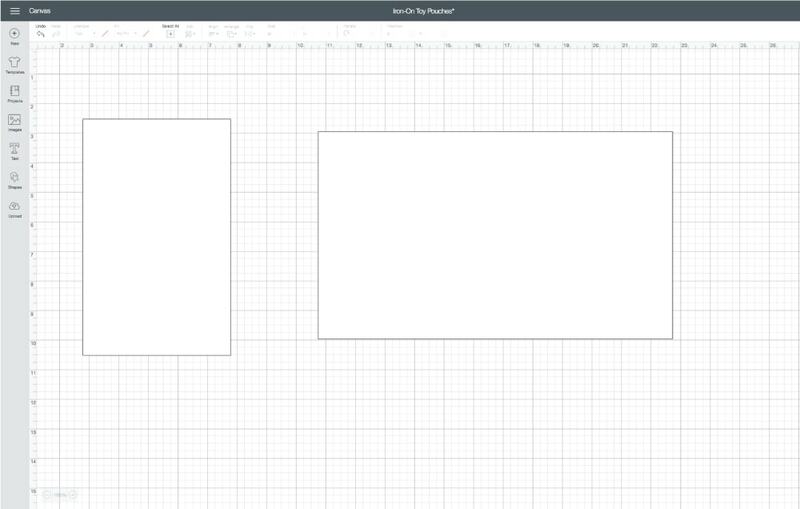 Use the white rectangle “templates” to size your designs and get a sense for what the final product will look like. Once you’re satisfied with your label designs, go ahead and hide/delete those white rectangles since you don’t need to cut them out. I’ve already written up detailed instructions for working with iron-on (catch up here if you need more info), but I’ll just cover some of my best tips and practices again! 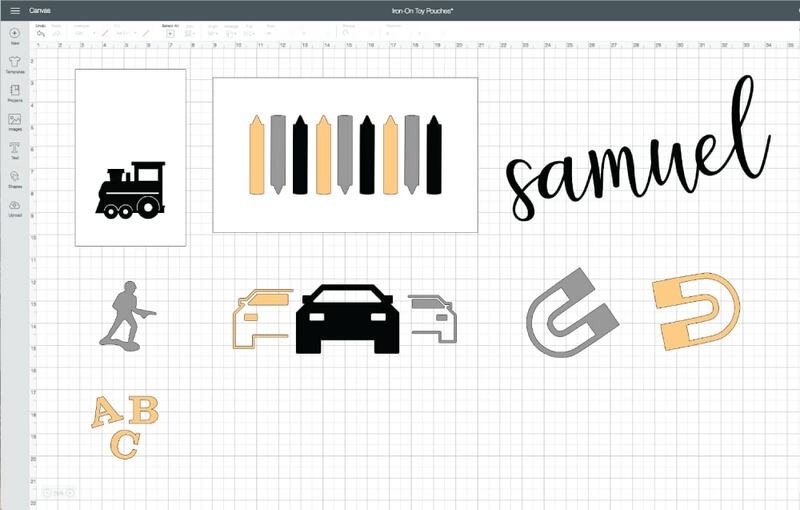 First, whenever you are working with iron-on but especially if you are cutting a directional design (like letters), you must remember to click the “Mirror” button on the cut screen. This will flip all your designs so that once they are ironed onto your finished project, they appear the correct way. TIP! 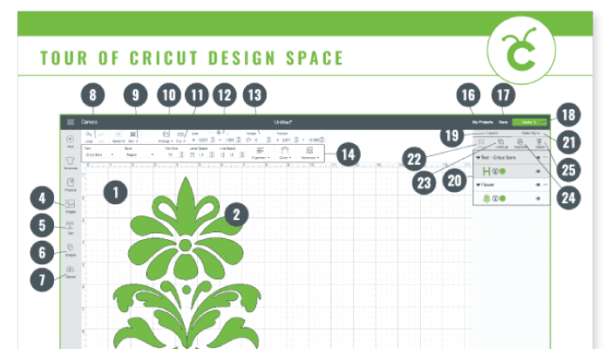 Sometimes Cricut Design Space doesn’t layout the designs as tightly as possible on your mat. Since iron-on can be pricey, I like to move my images around on the cut screen so they are as tight as possible, allowing me to conserve as much iron-on as possible! When you load your iron-on onto your mat, fight your instincts to place it shiny side up (like you would standard vinyl). Instead, place the shiny side down onto your mat and cut out your label designs with the standard Fine Point Blade. 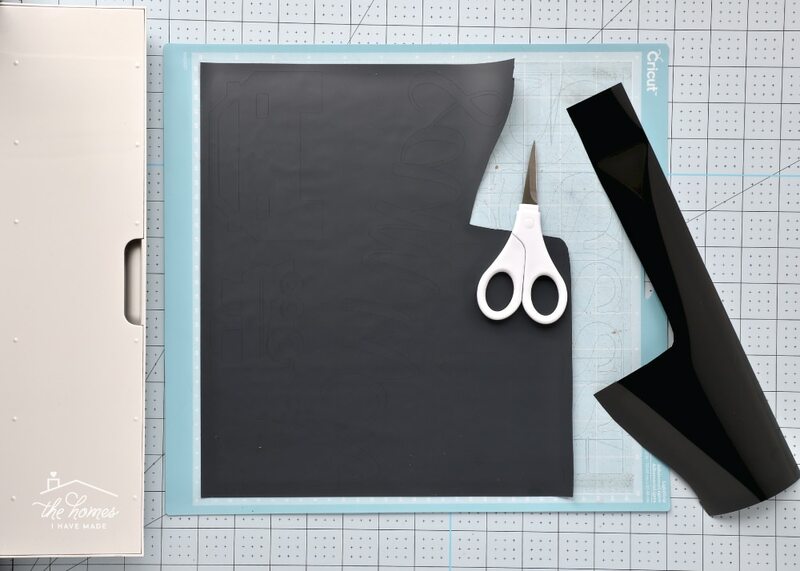 Once your design is finished cutting, unload your mat. The next step is to weed your iron-on labels, but WAIT! TIP! Like I said, iron-on is pricey so save whatever you can. Before weeding, I always trim away the un-cut surface and keep it for another project. Next, use the weeding tool (or a seam ripper if you don’t have one) to weed out all the negative parts of your label designs (see more weeding tips here). Once weeded, use a scissors to trim apart each label from the others along the clear protective liner. Isolating each image will give you more accuracy with your placement and prevent you front accidentally ironing pieces to the wrong pouch. Most of the “hard” work is behind you and all you need to do now is attach the labels to your canvas bags. 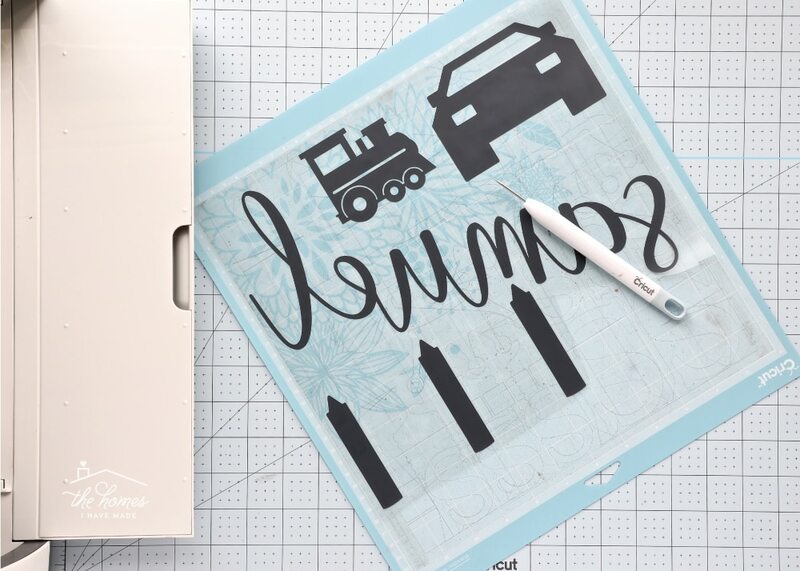 This can be done with a standard household iron or a Cricut EasyPress! 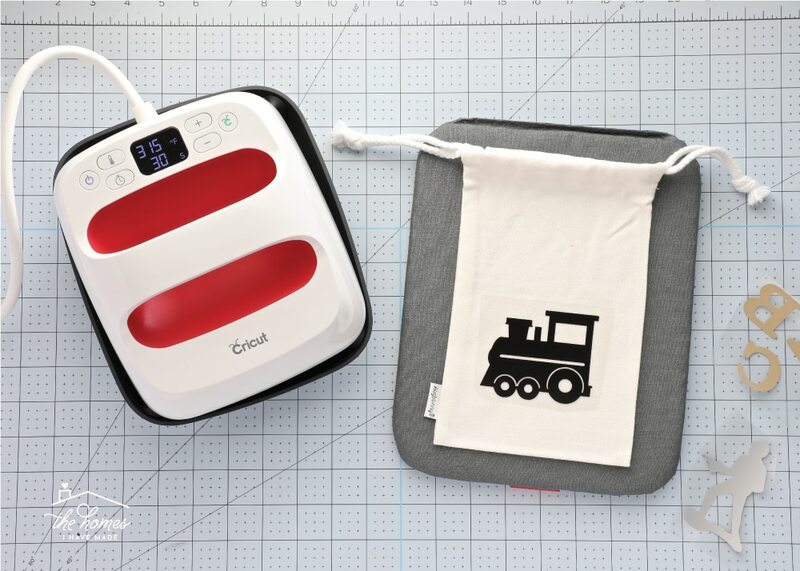 The Cricut EasyPress is an advanced heat plate that will give you professional iron-on results in minutes! And really…it couldn’t be easier! Now available in three different sizes (the 6×7″ is shown above), the EasyPress practically guarantees excellent results every time! Don’t believe me? 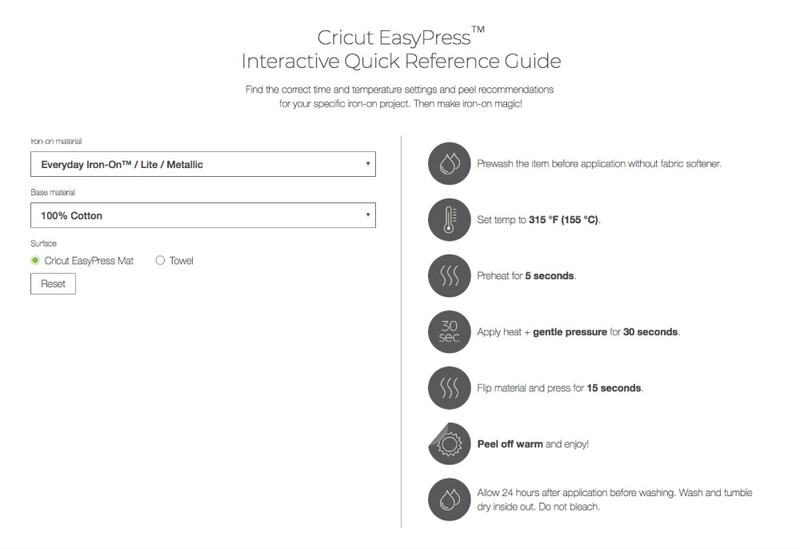 For any project you are creating, you simply visit this handy Cricut EasyPress Reference Guide and it will walk you through everything you need to do…step-by-step. For my iron-on labels, I adjusted the interactive wizard to say “Everyday Iron-On” (since that’s what I was using) and then selected 100% cotton from the dropdown menu (since that’s what my canvas bags are). 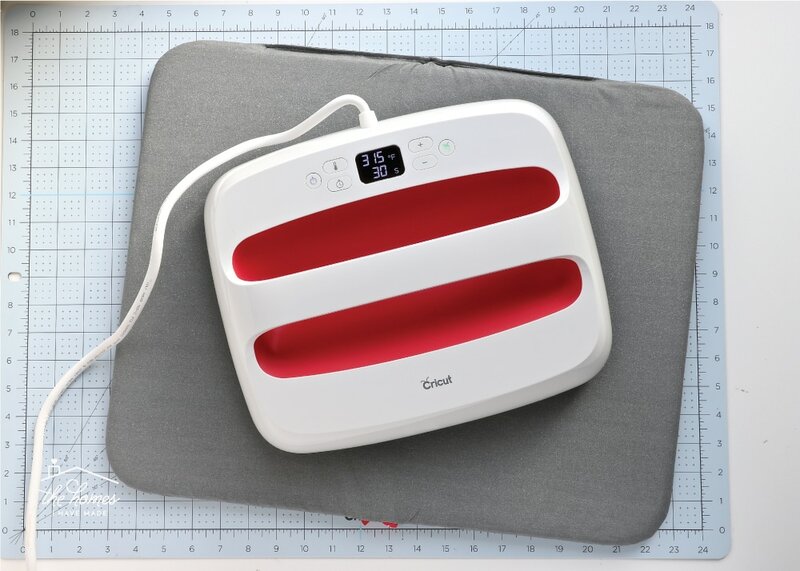 I selected the “Cricut EasyPress Mat” as my heat-safe surface and then the wizard provided the temp, time and procedure to get flawless results! For your label project, be sure you adjust the wizard based on what iron-on material you’re using, as well as what kind of bags or pouches you’re ironing on to. Next, just follow the directions outlined in the wizard! After pre-heating your bag for about 5 seconds, place your label down onto the canvas bag, shiny liner side up. Adjust the EasyPress to the correct time and temperature for your iron-on material (per the wizard). 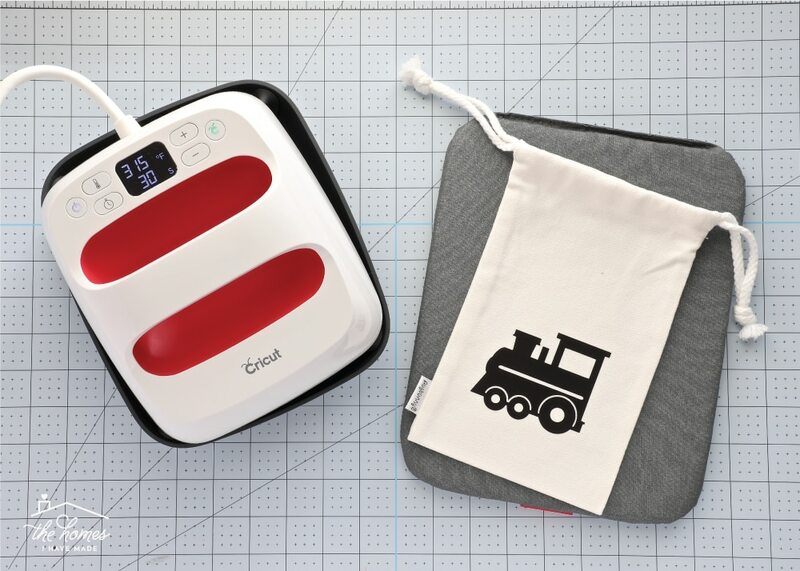 After placing the EasyPress onto the label, press the green Cricut button and let the clock count down. Once it beeps, flip your bag over, and heat for an additional 15 seconds. When the label is cool, gently peel off the protective layer to reveal your perfect iron-on label! TIP! Having a timer on the EasyPress might not seem like a big deal to some, but for me it is everything. Since I am often crafting with kids underfoot (aka: distracted), it means I don’t run the risk of overheating and ruining my projects! 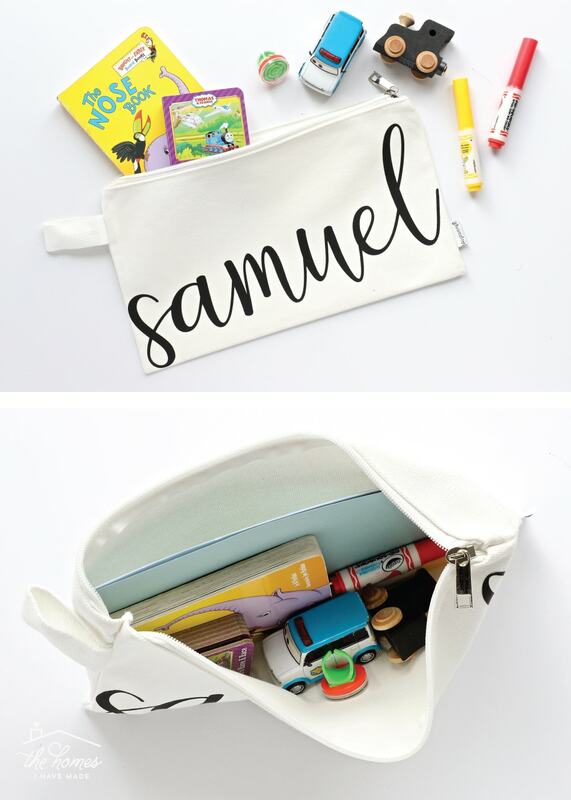 Now…keep labeling bag after bag until you have cute homes for all the little junk around your home! Caution: these little bags are so addicting to make, so I suggest carving out a snowy/rainy afternoon to whip up a bunch at once! Seriously…addicting! I couldn’t stop myself from making a set for my favorite little girl who lives a few doors down! I mean…what cuter way is there to store all the fun little girl stuff? 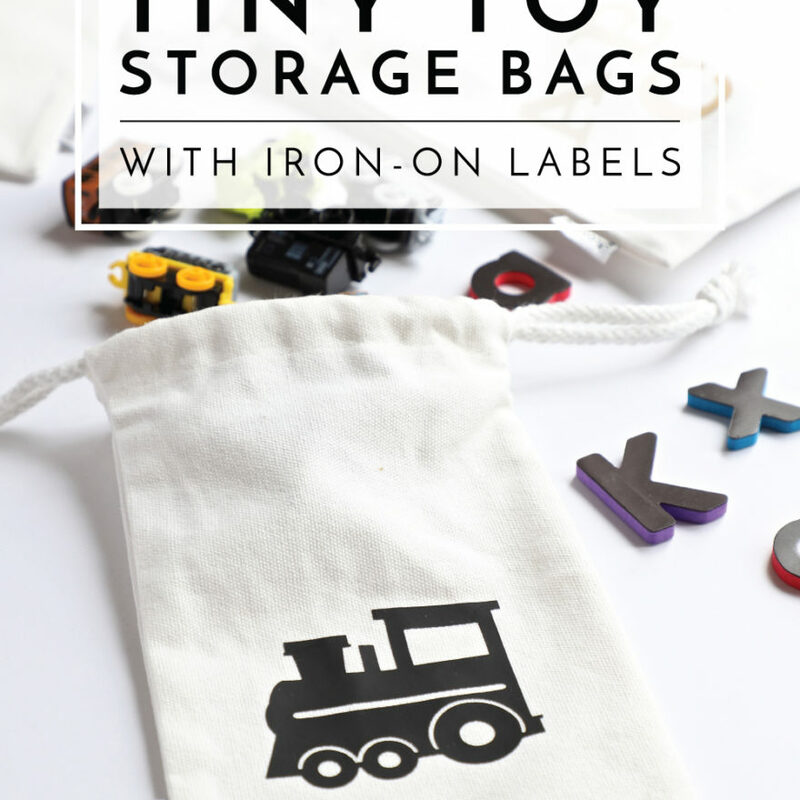 Although the tiny bags are ideal for really little toys, there were some other things around our home that I thought would store better in larger pouches. 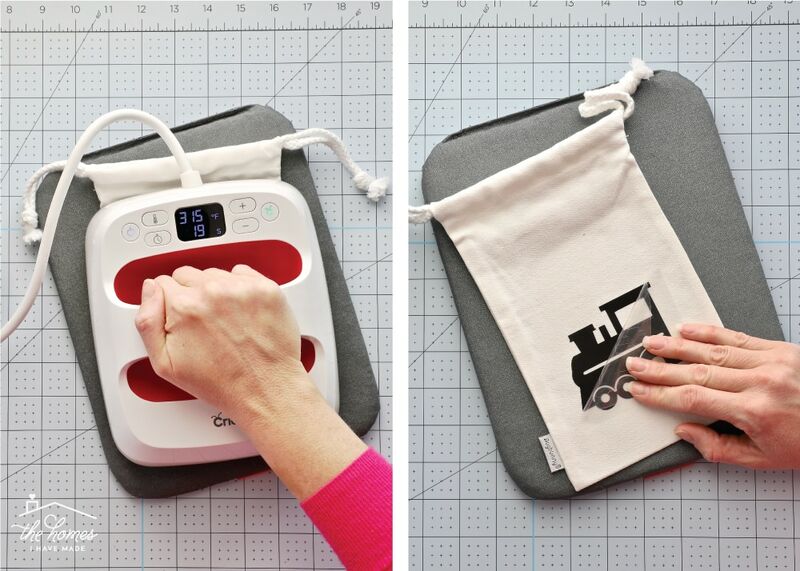 The larger pouches came together in the exact same way; except…so that I didn’t have to worry about moving the smaller EasyPress across my bigger designs, I pulled out the larger EasyPress and mat! 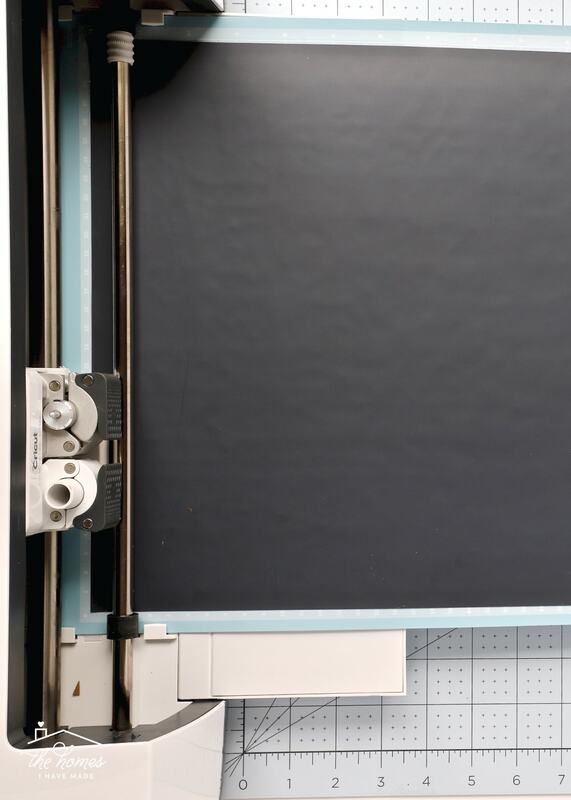 The larger EasyPress measures 12″x10″ and is ideal for bigger projects like this one. I simply laid everything out side-by-side and ironed it all at once! I am so excited about these larger pouches! Whenever we are running out the door, whether it’s to church, a restaurant or some other event, I am always grabbing a variety of things to keep 2-year old Sam entertained. Instead of them all floating around the bottom of the diaper bag, this pouch keeps everything contained…in a pretty cute way, I might add! 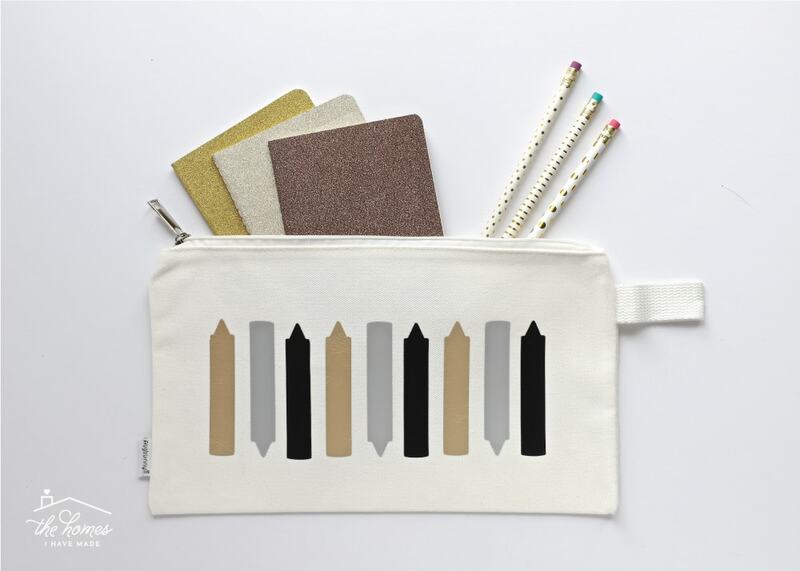 For 7-year old Henry, some blank notebooks and sharpened pencils are all he needs to entertain himself, so I made a pouch for him too! 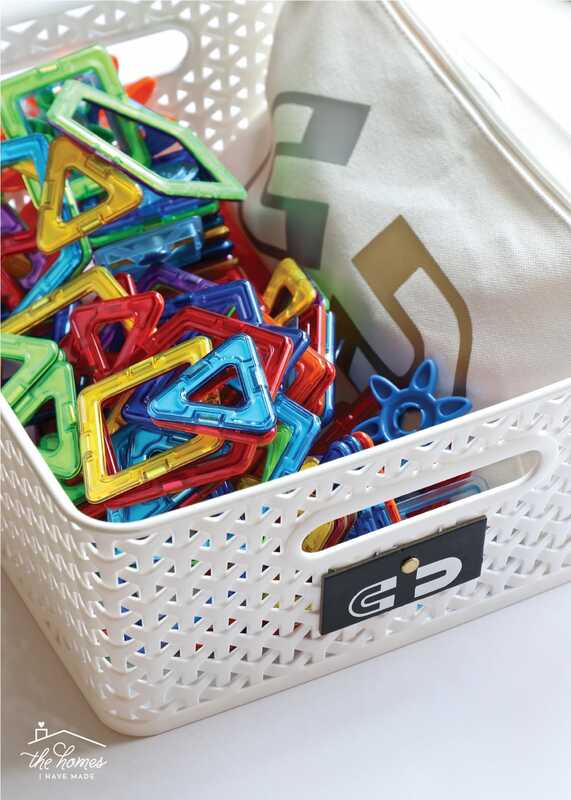 These larger pouches are also a great way to create “compartments” in larger baskets. If you have different types or sets of things floating around a single basket, these pouches are key to keeping like items together! 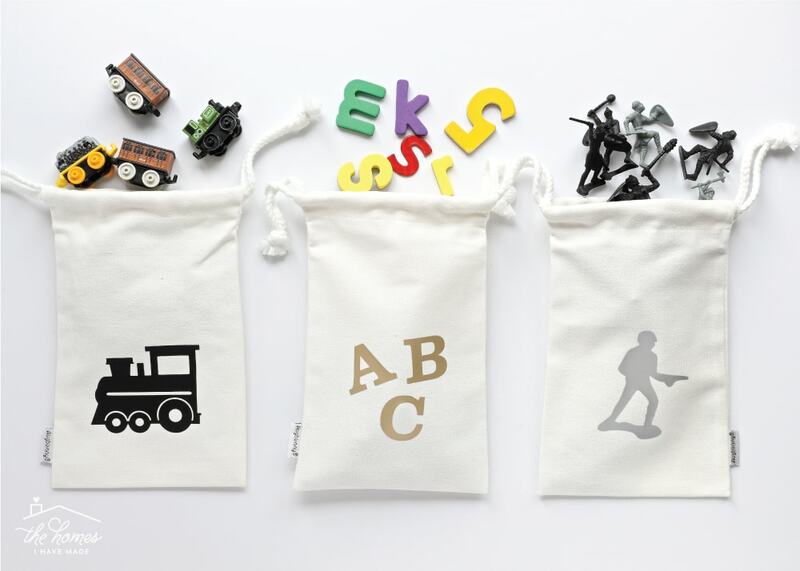 The pouches also make it really easy to pull out sets of little things to play or go! 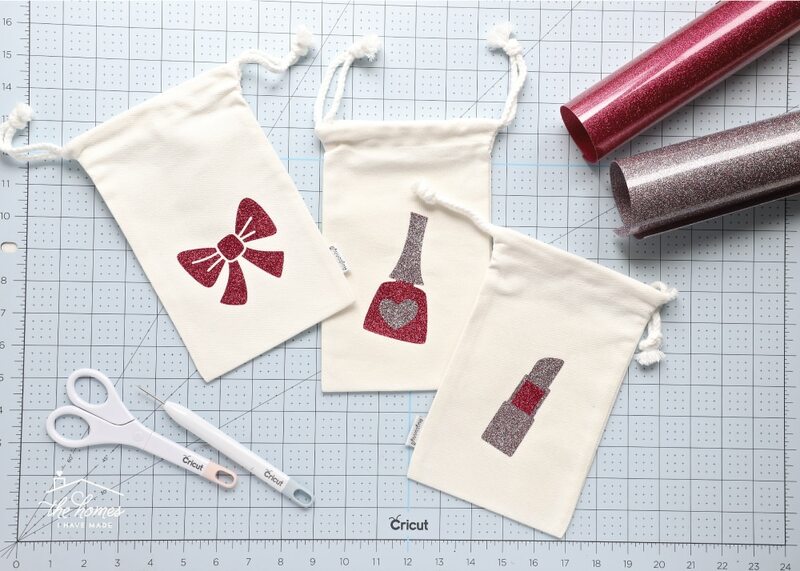 These pouches are so much fun to make and are super cute too! 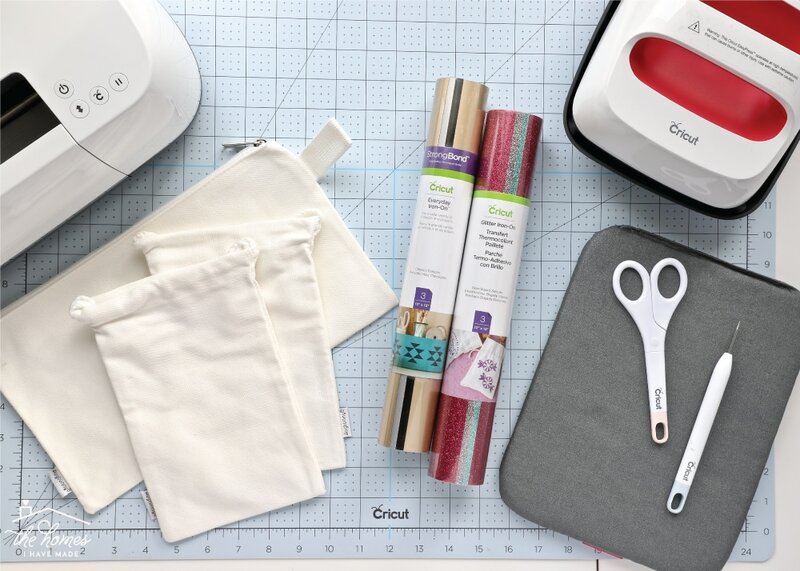 Beyond toys, you could adapt the idea to organize your purse, suitcase, craft supplies or any other small items around your home! What would you make some for? 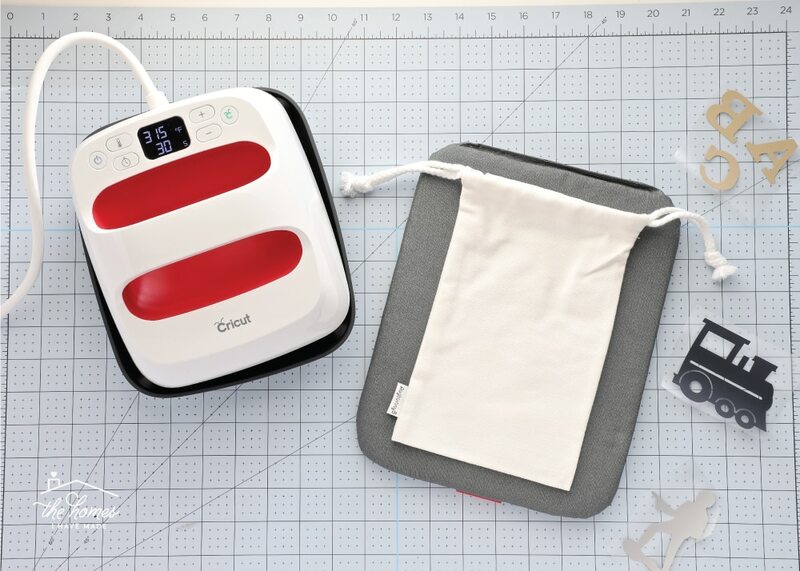 I hope this project gives you some new and clever ideas for using your favorite Cricut supplies! If you have questions about anything here or if something wasn’t quite clear, don’t hesitate to leave a question/comment below! Also, thanks for bearing with me these last few weeks with my modified schedule. We should be back to “regular programming” now 😉 I’ll see you back here on Friday with an easy DIY that made a huge difference in my office! See you then!